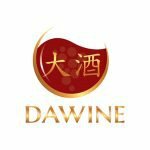 DAWINE (ASX:DW8) offers an exclusive wine experience, focused on bringing quality, genuine wines from around the world to its customers. We all know Australians love a drink. It used to be beer that was the staple of the great Australian barbeque, but that has slowly been usurped by wine – which is now drunk by 45.1% of the population compared with 37.6% who still love to blow the froth off the top of an amber ale.